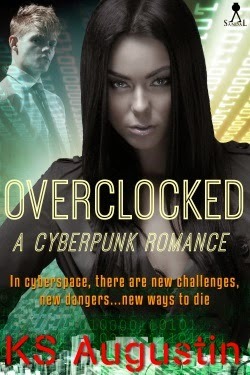 By pure happenstance, I read Lyn Brittan's LANA'S COMET and KS Augustin's OVERCLOCKED back-to-back. It turned out to be a great double feature reading experience for a number of reasons. 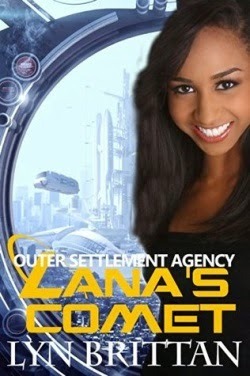 Both novellas feature scientist/doctor PoC heroines and "good guy" (yet flawed) heroes. What really floated my boat, though, were the stories' progressive elements and themes and thoughtful social commentary. LANA'S COMET and OVERCLOCKED aren't the only SFRs to accomplish such goals, of course, but it was pretty neat that two books in a row hit my sweet spot in ways that were both different and similar. I'm going to pull a quote from each of these stories since the passages perfectly embody two of the main reasons I read and adore sci-fi romance. To avoid possible spoilers, I'm not going to reveal the source of the quotes. "Intimacy was as much part of the human condition as acquiring knowledge." Aren't they great? The first quote captures the spirit of SFR while the second reflects the dual-heroic journey narrative often found in this genre. In other words, the awesome fantasy of the hero and heroine taking turns saving each other! Both stories also deliver equality between the hero and heroine. There were power imbalances at the start, but not of the sexual kind. All four of them are ambitious professionals with numerous skill sets, meaning that the "extraordinary character" playing field was level for each couple. They also shared equal responsibility regarding saving the day, to put it generally. Yet their heroics weren't without cost, which lent both tales a bittersweet note. I wish the stories had been longer because I enjoyed visiting their worlds. * the story's social commentary touches upon themes of racism, privilege, and gender roles. Some of it plays out in the dialogue between the hero and heroine, which is awesome. * social commentary examines gender roles, particularly as they relate to the workplace.